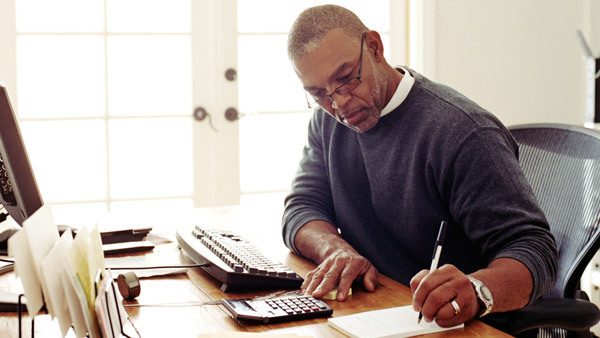 New research by Prudential showed that African-Americans were financially confident overall but faced some gaps in retirement planning. New research released Thursday by Prudential Financial showed that most African-Americans had a greater sense of advancement and optimism about their financial situations than the general population. At the same time, the research found gaps in long-term retirement planning that could hinder their ability to build wealth. The study also found strong interest among African-Americans in working with financial professionals, and ways advisors could act on this interest. For the study, GfK in the spring polled 1,043 Americans who identified as African-American or black and 556 general population Americans, all aged 25 to 70. Among the respondents, 149 identified themselves as veterans of the U.S. military, 214 were caregivers for another person and 216 had a household income of $150,000 or more. Fifty-six percent of African Americans surveyed said they were better off than they were five years ago, and better off than their parents were at their age. Respondents were optimistic that financial gains would continue to build: 58% expected the next generation of their family to have a better financial situation than their own, compared with only 46% of the general population. Fifty-two percent of African-Americans said they were very well prepared to make smart financial decisions, while only 40% of the general population described themselves that way. However, among African-Americans who expressed high levels of confidence about their financial decision making and money management skills, 51% described themselves as savers, while just 9% said they were investors. This indicated a need to increase knowledge of and access to investments, Prudential said. Across the board, survey respondents most often cited having enough money to maintain their current lifestyle in retirement as a top financial priority. Among African-Americans who said they were offered an employer-sponsored retirement plan, 74% contributed to it, a robust participation rate, but significantly lower than the 85% of general population employees who reported contributing to their company plans. Surveyed African-Americans were also less likely to say they owned financial and insurance products, many of which could help create the retirement income they had prioritized. Not becoming a financial burden to loved ones was a top-three priority for survey takers—an interesting priority, Prudential said, given that approximately 20% of the general population reported being a caregiver for a loved one. Sixty-three percent of African American and 62% of general population caregiver respondents said they provided some or all financial support to those they tended to, and a quarter provided all of the support for their loved ones. However, African American respondents invested an average 20.7 hours a week in their caregiving commitments, compared with 14.6 hours among the general population. Thirty-nine percent of African-American veterans surveyed said they were exposed to a good education about financial topics once they transitioned into civilian life. The survey found that although 71% of African-American veterans felt very well prepared to make financial decisions and had a positive outlook on their financial situation, only 38% used the Veteran Service organization as a financial resource. Family was a top source of financial information, signifying, Prudential said, that additional opportunities exist for informing veterans about the use of financial education opportunities and encouraging their participation. The study found that African-Americans’ engagement with financial professionals was relatively low, but opportunities existed to engage further with the community. Thirty-nine percent of African-Americans and 46% in the U.S. general population reported that they had been contacted or reached out to by a financial professional. However, only 14% of the former and 26% of the latter were currently working with an advisor. Among respondents who did not currently have an advisor, 31% of African-American and 35% of general population respondents said they did not think they had enough assets to need professional advice. Other barriers to engagement were a preference to act on their own and fees they perceived as too high. The Prudential poll found that engagement doubled for African-Americans whose household income was $75,000 or more. One-third earning between $100,000 and $149,999 and 35% of those earning $150,000 or more worked with an advisor, a rate similar to that of the general population. More than eight in 10 African-American respondents said they would engage an advisor who could help them take concrete steps toward financial security, give them information appropriate for their level of financial experience and knowledge and treat them with respect. Moreover, 48% of African-Americans surveyed, vs. 39% of the general population, said they were likelier to engage with an advisor who offered information through social media. And 61% said they would do so if the advisor were supported by a community leader or a faith-based organization vs. 43% of the general population.